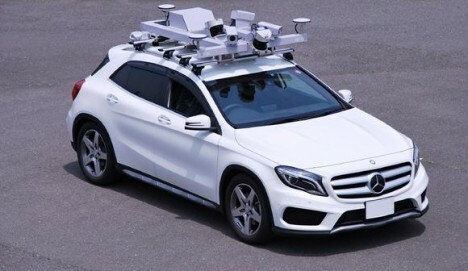 In an effort to get self-driving cars on the road by the 2020 Tokyo Summer Olympics, Japan is working to digitally chart the nation’s major roadways with special mapping technology to create detailed 3D data sets. Dynamic Map Planning, a joint venture of various automotive companies, is crunching data on hundreds of miles of expressways to producing highly accurate positioning data. The 3D maps will contain road grades, structures, signs and other elements of the built environments, helping vehicles slow down ahead of traffic lights, sharp turns and reducing traffic congestion. Sensor data can help cars navigate their immediate surroundings but struggle with complex road patterns like off ramps, especially in wide roads with fewer close-proximity clues (or multi-level highways). 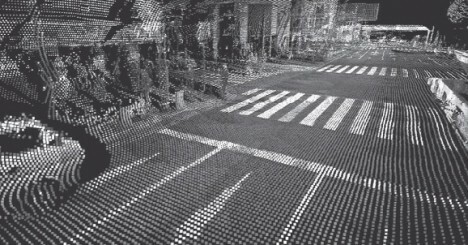 The combination of high-resolution 3D maps and sensors will enable the accurate detection of which lane a car is in and the distance to junctions. High-precision surveying technology is required to make the maps, so Mitsubishi Electric developed equipment that will be installed on a canvassing vehicle. GPS will track the location of the car on the map, and sensors designed to detect the inclination of the car will measure the road grades. At the same time, data including the locations of road signs and traffic lights, as well as right- and left-turns and pedestrian crossings, will be collected using lasers. The survey data will be displayed as a collection of dots. Lines on the road, such as lanes, noise barriers and road signage, will be plotted on that image to faithfully recreate road conditions for 3D maps.